We’re all in it together. We’re all middle class now. Class politics is dead. Class war is over. CLASS ACT is a cutting and irreverent take on these and other lies. A combination performance, workshop, game-a-thon and blazing argument, CLASS ACT is an interactive entertainment variety looking at where we come from, what that means, and what you’re going to do about it. Devised and performed by Harry Giles, a theatre-maker and poet working in participatory theatre and political engagement. 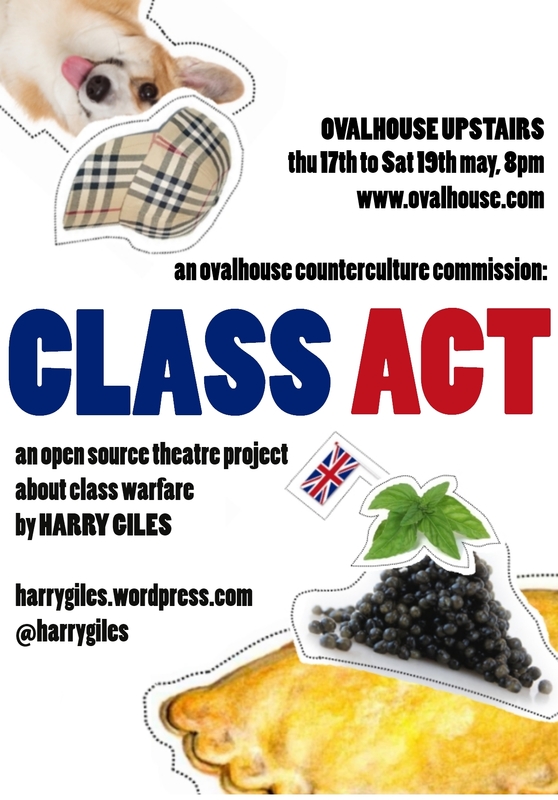 Class Act is an Ovalhouse Counter-Culture Commission. Inspired by Ovalhouse’s history of radical and activist performance, these seed commissions investigate what counter-culture could mean today. Is it possible to be an outsider in a society priding itself on inclusivity? Who gets to be counter-cultural? And who gets to decide? This mini-season of works-in-progress marks the beginning of an exploration that will grow into a Counter-Culture season sometime in 2013. ← Interactive Theatre: Why, How, &c.